By this point we're all used to watching some big media companies not understand the market for digital content or digital sales, and it comes as no surprise when one offers products no one wants, cripples products with DRM, or generally makes it hard to legally consume content (note: I'm not just talking ebooks here). But every so often I am forced to relearn the fact that such short-sightedness isn't the exclusive purview of large companies. Zola Books has announced today that they're opening a new ebookstore next month. As part of their strategy to draw in customers they plan to offer exclusive ebook titles, including some which have not be available before. 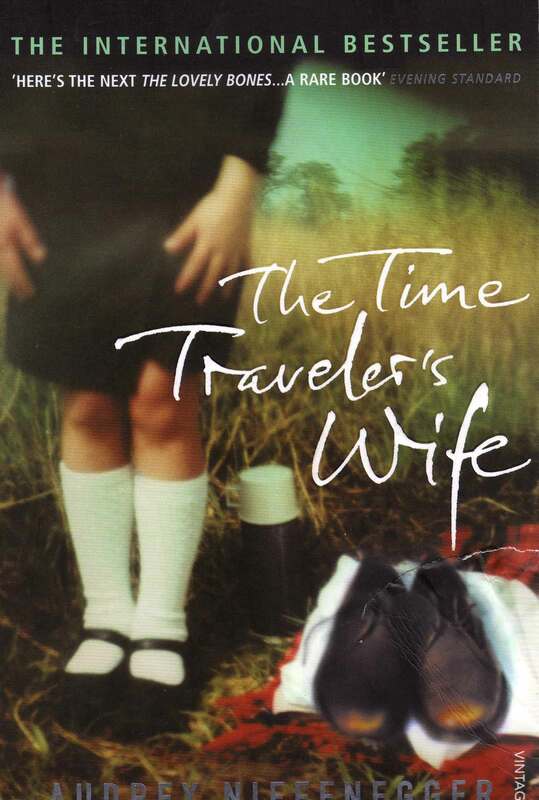 The first exclusive title will be Audrey Niffenegger's novel, The Time Traveler's Wife. I've mentioned this book once before, when I used it to explain why people commit piracy. This book was published 9 years ago, and back in 2009 it was made into a movie. That was when I first heard of it, and I was one of many readers who were frustrated by Niffenegger refusal to release the book in digital form. My point at the time was that many pirates were frustrated would be customers who were denied the opportunity to pay for the content they wanted to buy. And today we have another example of how pirates are frustrated would be customers. This story, which I have loved to reread over the years and currently own in paper and video, is soon going to be available as an ebook. It will only be available from a single ebookstore, Zola Books, a startup which thinks it can be Pottermore and offer exclusive titles that readers will have to go to the site to buy. That's nit going to work, and it's likely going to result in a lot of frustrated would be customers. As I've said in the past, there is only one Pottermore and it cannot be copied. I won't be buying this ebook. I have accounts at countless ebookstores, and my rule for setting up a new account at a new ebookstore is my level of desperation for the titles it offers. In the case of Zola Books, the answer is not too damn high. They're not selling Harry Potter ebooks nor any other high value exclusive title, so setting up an account is not worth my time. Once again Niffenegger is choosing to forgo sales for the sake of some principle. That's her choice, but it once again will frustrate potential customers. I'm sure that I'm not along in wanting to buy ebooks from my preferred ebookstore, not be forced to use a new one. Even leaving aside the issue of preference, I know of several Kindle owners who would only want to buy the ebook from Amazon, for the sake of convenience if nothing else. I’ll tell you this… the urge to pirate is weird. I hate piracy. But a weird thing happened this week when I was looking at all the Harper Collins discounted ebooks. I thought for sure that I would be interested in purchasing some- at least on a self centered basis- but I wasn’t. The prices that appeared to be below wholesale actually bothered me. Apparently, I only like paying for ebooks as a means of supporting Barnes and Noble – I didn’t know that about myself. A sense of patronage, I guess? Maybe reciprocity for selling me my nook at or below cost? Or maybe I’m just turning into a “big government” hating conservative as I age. But I just kept thinking- why SHOULDN’T I pirate this. The whole point of paying for the title is to thank the people who brought it to me. If this is actually costing Barnes and Noble money, and the author is getting a lower cut then they would if they self published, and I don’t see what Harper Collins brings to the table, then wouldn’t it be better for everyone if I just pirate it? It’s like I’m paying to punishing the people I’m trying to thank. It’s a weird thing, piracy. And I also like the word “weird”. Learning all sorts of things about myself. Turning conservative as you age? I guess Obama’s lucky the election is this year. I don’t favor piracy but have often faced the same conundrum as Peter. But I find myself frustrated by the “discounts” now being offered on HarperCollins ebooks as a result of the settlement. Do 40-cent discounts really influence book-buying decisions? Or even a $1 difference in price? They don’t influence mine. I tend to buy from Barnes & Noble and Smashwords. At least on the books I am interested in, there is very little difference, if any, in price between B&N and Amazon, not enough to make me want to buy at Amazon over B&N. And when it comes to indie books, which is mostly what I buy these days, I tend to split my purchases between B&N and Smashwords. Recently, I was interested in reading Bernard Cornwell’s Sharpe series beginning with Sharpe’s Tiger. The ebook is $6.99 at Amazon and $7.99 at B&N (the paperback lists for $7.99). The book is a HarperCollins book. In the end, I didn’t buy the book because it is the first in a series of more than 20 books, all of them published in the 1990s. It is this kind of pricing that makes one think of pirating, whether one does it or not. Sharpe’s Tiger is $5.99 at BooksOnBoard. HC titles have been on sale all week at BoB. My first experience occured shortly after buying the Nook Color. Received a HUGE SALE email from B&N and was quite excited to see all the deep discounts. After spending $250 on the NC i could stand to save a bit of cash on the books themselves. I mean hardcovers from $.99 with nothing priced higher than $5. Turns out that only applied to dead tree books as all the EBooks were from $15 to $25. I was quite surprised as i was new to the whole EBook thing. Shot off an email to B&N and actually got a response fairly quickly blaming the publishers for the huge price difference between slightly aged paper books and ebooks. Managed to “acquire” a few – uhm free – books but the formating and errors from OCR made the reading tedious at best so now i get most of my reading material from the library. I might have to wait in line but is worth it. Ultimately i’ve only actually purchased a few books and that was from a place that sells them DRM free (although i did buy “A Dance With Dragons” at full price from Kobo and removed the DRM). No purchases from B&N.